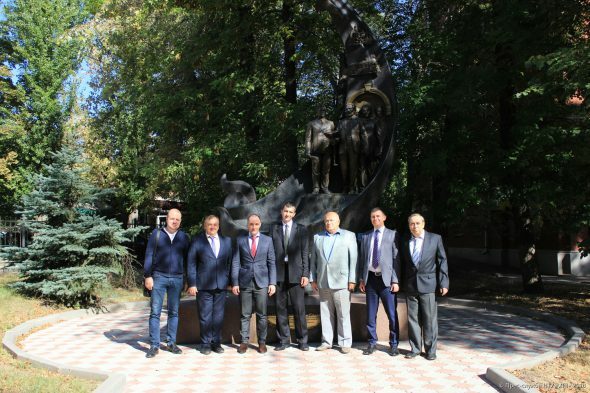 Warsaw & Kharkiv: Starting a double diploma program – National Technical University "Kharkiv Polytechnic Institute"
The representatives of Warsaw Polytechnic (WUT) visited NTU “KhPI”. The visit took place within the framework of starting the master’s program of double diplomas in Mechanical Engineering that will be realized by NTU “KhPI” and WUT. The three-day working trip of Polish delegation contemplated some meetings of project coordinators with the management of NTU “KhPI” and the students participating in the dual-diploma program. 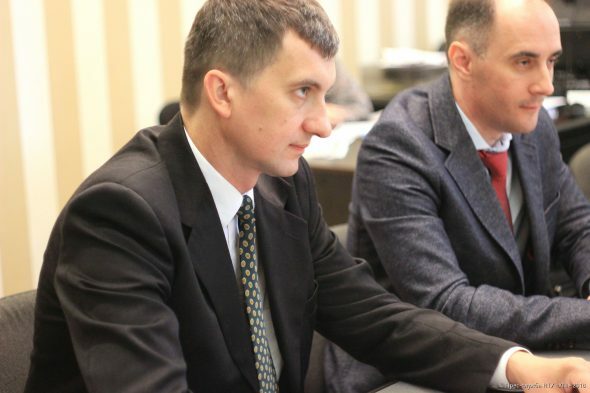 The Warsaw Polytechnic was represented by the coordinators of the Program of dual diplomas, in particular Mikhail Makovski and Dmitriy Samoilenko. The visit started with a discussion about the scientific cooperation between Universities at the meeting with the management of NTU “KhPI”. 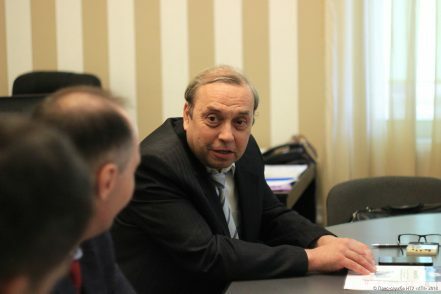 Andrey Marchenko, vice-rector of NTU “KhPI” stressed the significance of such visits because it is of importance to discuss “the road map” for the first team of students participating in this project at the start of dual-diploma program. “We are glad to move from words to deeds. We must make efforts to realize this project. The preparation period was rather long. However, we achieved certain results today and we have good outlooks” — stressed Andriy Marchenko. 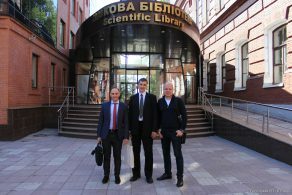 Project coordinators from NTU “KhPI” were the employees of the Department of Internal combustion engines, in particular the head of the Department Volodymyr Pylyov and the associate professor Denis Meshkov. 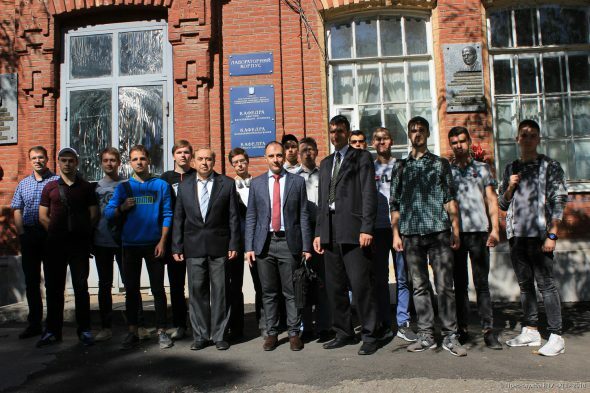 “This year, the first group of 14 Ukrainian students who entered the specialty “Power Engineering” was created and is going study in Poland in the spring semester. 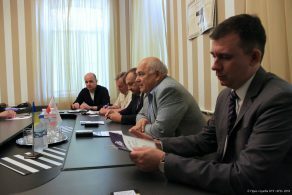 The students that work for the master’s degree at other Ukrainian universities also have such an opportunity”, said Volodymyr Pylyov. 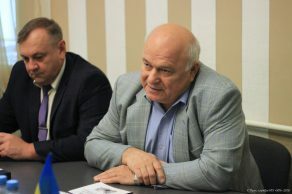 According to Denis Meshkov, the students participating in master’s degree programs in the specialty of Power Engineering (specialized in Internal Combustion Engines) are enlisted simultaneously in two Universities KhPI and WUT. It gives them an opportunity to become the holders of two diplomas and have an access to the library resources of both universities, participate in the conferences and seminars and to get long-stay educational visas. «The curricula coordination process is coming to end to make it to the beginning of a new academic year in time and it should be noted that the academic year begins a bit later in Poland. 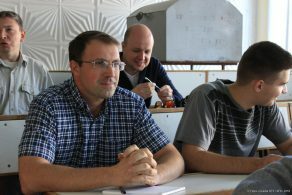 In spring, a group of Polish students is coming to KhPI within the framework of this program. Undoubtedly, this is a long–term strategic cooperation, and it is of interest for both universities. We will gradually go from the dual-diploma level to a broader cooperation” – said Dmitro Samoilenko, the project coordinator from Warsaw Polytechnic. 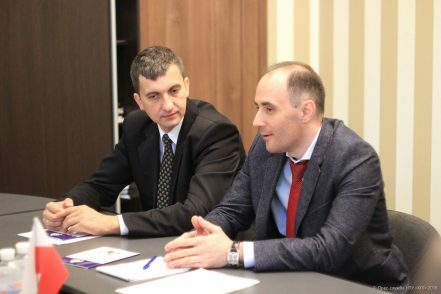 Gennady Khripunov, vice-rector of NTU KhPI said about the further plans of the international cooperation development between the KhPI and Polish Universities: “We submitted the joint project for the ERASMUS + program to realize the academic mobility of the students of freshman classes. This is an opportunity for our students to go on exchange to Poland and Polish student to come to KhPI. It should be noted that our cooperation in scientific sphere is already developing rather successfully; the scientists of both universities participate in the conferences held by partner universities. Joint scientific papers are also published and the requests for the funds are prepared. All these events provide close contacts between the scientists of two countries”. Within the framework of this trip, the delegation from Warsaw Polytechnic visited the Consulate General of Poland in Kharkiv to coordinate legal aspects of the training of students from KhPI in Poland. The visit of the representatives of Warsaw Polytechnic to NTU “KhPI” was held throughout the period of September 19-21, 2018. In September 2018, NTU “KhPI” launched the Master’s degree program that would allow the Polytechnic students to get the diplomas of KhPI and WUT simultaneously. 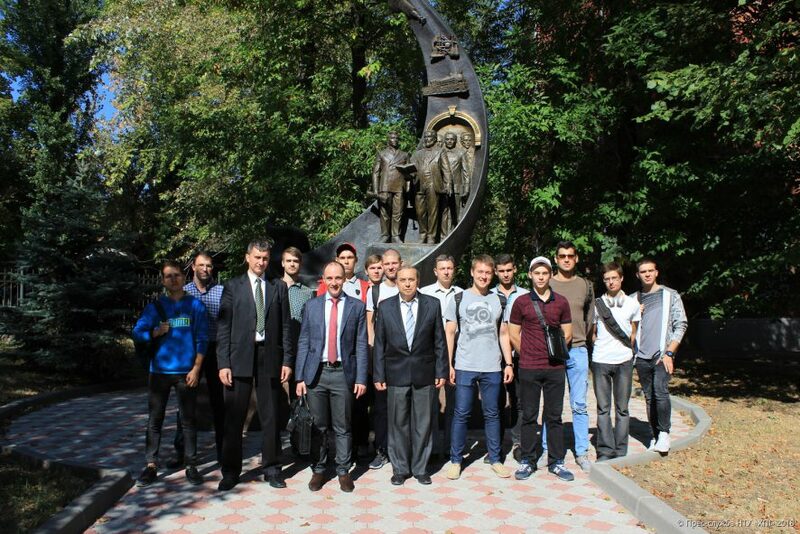 The participants of this program can be the students that have already defended the bachelor’s degree and entered to the master course in the specialty of Power Engineering majoring in Internal Combustion Engines. The training at the Warsaw University is free of charge for the students from KhPI. The main requirement is a good command of the English language. The education and science program will last for 1 year and 9 months (four semesters) and the students of both universities will take two-semester training course. 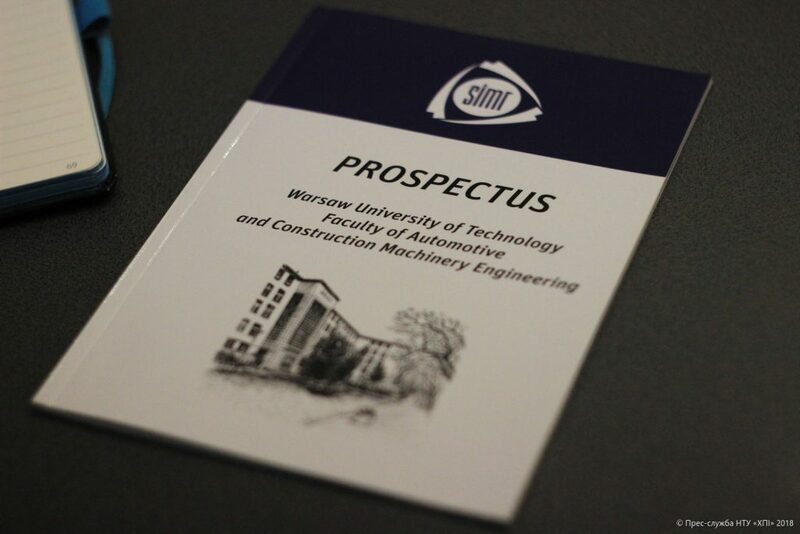 In May 2018 NTU “KhPI” signed two agreements with the Warsaw Polytechnic (WUT), in particular the cooperation agreement and dual-diploma agreement to defend the master’s degree in Mechanical Engineering. The Warsaw Polytechnic (Politechnika Warszawska) is one of the largest Universities in Poland and Central Europe and more than 2.000 teachers work for it. 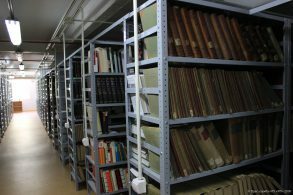 It gives training to about 31.000 students at 18 departments that cover different scientific branches. About 5.000 specialists graduate annually from it. Most managers and directors graduated from the Warsaw Polytechnic; actually their number is the highest in terms of percentage points.